Date Elected or Appointed: Appointed December 19, 2003 to complete the remaining term of late Mayor William "Bill" Hughes; elected November 2004; re-elected November 2008, 2012 and 2016. Served as Mayor in 2007, 2012 and 2017. He is currently serving as Vice Mayor. 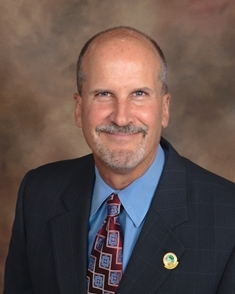 Vice Mayor Slowey moved to Citrus Heights in 1989. Vice Mayor Slowey works for Bank of America as Vice President and Special Projects Manager. Vice Mayor Slowey enjoys playing golf, gardening, and reading. Jeff and his wife, Laurie, have been married for 33 years and have 3 daughters, Veronica, Christina, and Kasondra. He is also has 4 grandchildren.